What should I wear to a bridal shower? Suddenly, all of your friends and relatives are getting married, and you have endless bridal showers to attend. We know the feeling, so in a spirited effort to marry your own personal style with appropriate-for-the-celebration looks, here are some inspiring outfit ideas. We love the idea of approaching the ultimate girly party with some cool irony. In this case, try a slim suit that is equal parts Annie Hall and Keith Richards. 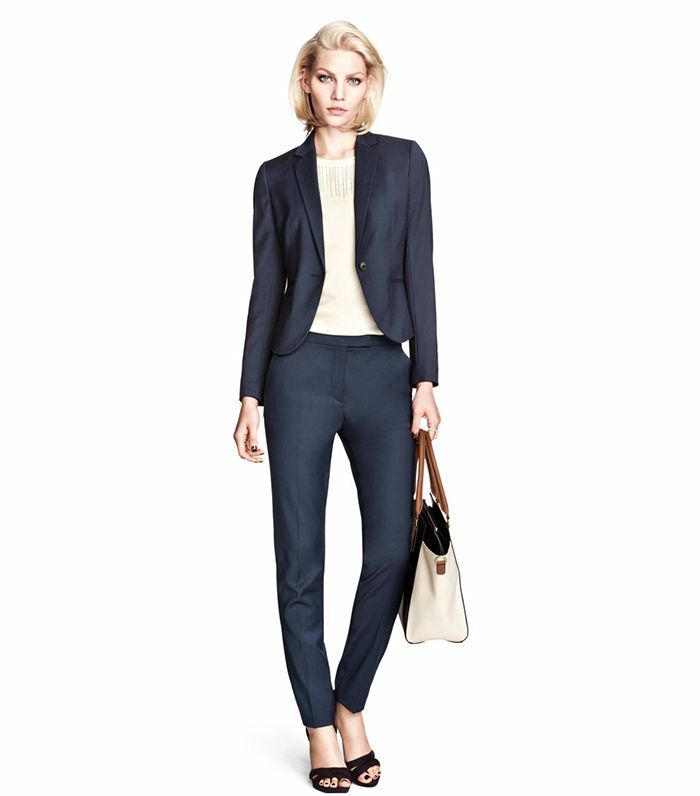 A navy or dark suit works best worn with a simple white tee or ‘70s-inspired blouse. While a strappy little heel can add a dose of femininity, a sweet oxford shoe will complete your menswear-inspired look with a wink. Play with proportions by trying an ultra-wide leg pant (a trouser, perhaps?) with a ladylike blouse. Add impact by picking a blouse with sweet flutter sleeves or dainty details, such as lace or embroidery. Revive your maxi dresses by adding a smart blazer. A floral frock turns edgy with the addition of a little black jacket and some chunkier, rock-inspired jewellery. Opt for a ‘60s-inspired dress that is fuller in proportion and cool in colour. An opaque tight will keep you properly covered, and a chunkier pump or heeled oxfords will help balance your head-to-toe look.